Summer in Michigan is the pure definition of fun in the sun. With its five Great Lakes, 11,000 inland lakes and more freshwater coastline than any other state in the U.S.,* Michigan is a boater’s haven. Friends gather together, families plan reunions and tourists and locals alike hit the water to enjoy days on pontoons, speedboats and jet skis. While all that boating fun can make for some great memories, it’s important to remember that operating watercraft in Michigan while under the influence of alcohol is illegal. In fact, according to TradeOnlyToday.com (link: http://www.tradeonlytoday.com/2015/04/michigan-adopts-tougher-bui-laws/), newer, stricter Boating Under the Influence (BUI) laws were recently adopted in Michigan. The new Blood Alcohol Concentration limit has been reduced to 0.08 percent (down from 0.10 percent). This level now matches the standard for what is considered drunken driving. Of course, boat operators under the age of 21 should not have any alcohol at all in their systems. For your safety and the safety of others — not to mention the legal trouble you could face if you receive a boating DUI in Michigan — all precautions should be taken to avoid boating while intoxicated. Drinking responsibly and/or designating a nondrinking driver are the best preventions. If you are caught boating under the influence, you may face strict penalties, including a fine, suspension of your operator’s license and possible jail time. In addition, your insurance premiums will skyrocket. That is a sure way to put a damper on your fun summer memories. 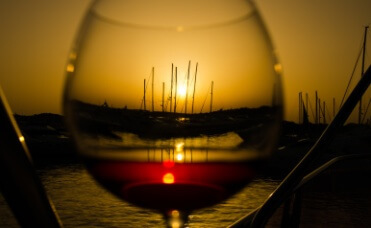 Depending on the circumstances of your case, however, it may be possible to obtain a reduction of the boating DUI charge (to that of a nonalcohol driving offense) or, in some cases, have the charge dismissed. The team at Barberi Law, serving central Michigan, will do whatever possible to help you avoid conviction. If this is not possible, we will work to minimize your penalties. If you’re facing Boating Under the Influence (BUI) charges, please contact us to learn more about how we can help.